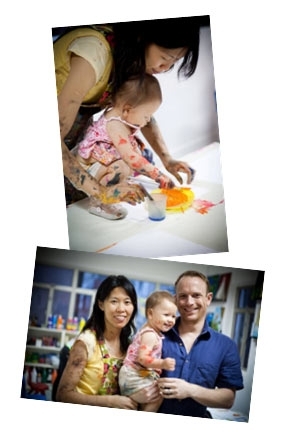 Colourful Kids is a well established Art Education Centre which has been operating in Hong Kong since 2007. We have developed an excellent reputation for delivering informative, creative and exciting art projects for children from toddler to high school, and hope to excite children in learning English through our programmes. The directors are Jupy Chu and Ben James who have over 10 years of art teaching experience. Colourful Kids reflects their vision of a creative, fun and dynamic environment where children can experience the joy of creating and learning about art. As well as directing the company Jupy is a painter working in oils and acrylics. She has exhibited in Hong Kong and also works to commission. She has also worked as an art advisor to some local schools. Ben trained in 3 dimensional crafts in the UK where he ran his own workshop before moving to Hong Kong in year 2000. His broad base of skills has proven invaluable in wide ranging projects in various Hong Kong schools, making large scale sculpture and group artwork. Colourful Kids have been providing high quality educational activities at several schools since 2007. We are currently working with Canadian International School, ISF Academy, St Pauls Co-Ed, St Stephens College Primary Section.